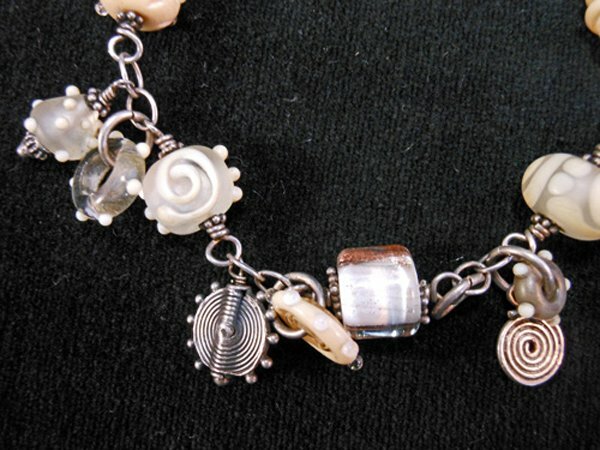 Learn the basic wire & wire-wrapped loops used to connect beads with jump rings & S-hook links. Make a hook clasp, learn to use several pliers and how to clean and polish wire. Once you have mastered these techniques you will feel like a pro! Our jewelry class dates are flexible! We’ll work with you to schedule any of our classes on a different date—call us at (760) 772-2400 Monday thru Saturday, 9:30 to 5:30, Sunday, 11-4. Note: Our flexible schedule means that recent changes at the shop may not be reflected on line! Please don’t sign up on the website a day or two before class--give us a call to make sure there is a class and that there is room for you. Thank you.